We can supply total solution for cheese plants ranging from 20kgs to 5 tons/day. We are one of the Pioneer for manufacturing and supplying complete cheese equipments on turnkey basis.We have expertise in fresh Cheese, Mozzarells Cheese, Pasta Filata, Semi - Hard Cheese, Hard Cheese, Process Cheese. We supply machineries with manual, semi automatic configuration. 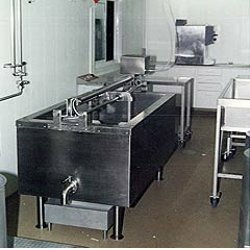 We are a leading manufacturer and exporter of a wide spectrum of Cheese Vats, which are used in food and other allied industries. Our cheese vats are made from high quality of steel, which provides them superior functionality. 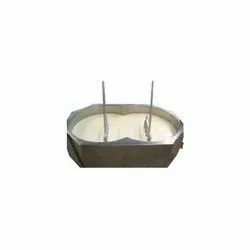 These cheese vats are known for processing cheese at faster rate and hygienically. Our corrosion proof cheese vats are offered in varied capacities to suit different processing requirements of our clients. Looking for Cheese Plant ?